Avanti is a different breed of recruitment. 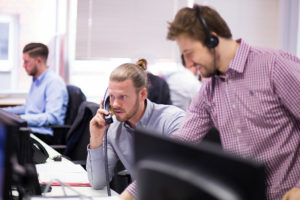 We offer everyone who joins a genuine opportunity to create a career they have always dreamed of, whether you are a Trainee Recruitment Consultant or an experienced Consultant looking for the next step up in your career. Since our launch in 2009, Avanti Recruitment has enjoyed significant year-on-year growth and we are now one of the leading players in our sector. In recent years we have gone from strength to strength focusing on business growth over the next 12 months meaning now is a great time to join Avanti. Our employees are passionate about what they do which has helped us to create a fun, rewarding, dynamic and results driven environment where our consultants can really thrive. 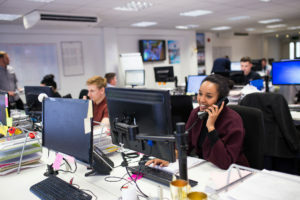 We are fully committed to our clients and candidates but not only that, we believe our employees are fundamental to the success of the business. 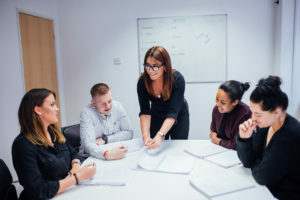 This is reflected by our accreditations with APSCo; the recruitment governing body and also by Investors in People who have recognised that Avanti offers an outstanding training programme, support, rewards and recognition to all our employees. Here at Avanti we are passionate about the people that we work with and more importantly the people that work for us! A company built on meritocracy; we give you transparent yet realistic goals to create a career that you have always wanted. If you work hard and hit your objectives, you WILL be rewarded with huge earning potential and your next promotion. 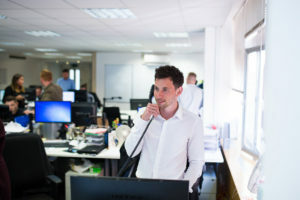 Our culture is primarily built around the belief of, FIND the right people – DEVELOP their skills & careers as a recruiter – RETAIN them within the business. Therefore we believe that a rewarding working environment is very important! So we make sure that all of our consultants no matter what level; get rewarded for the hard work they put into their day-to-day role. Along with our main incentives we celebrate every little success within the business with our monthly awards, champagne deals, green deal breakfast clubs, team drinks and many more. If you are on the lookout for the next step in your recruitment career or your first role in recruitment, please contact our internal recruitment team on careers@avantirec.com to see what your career would look like at Avanti.